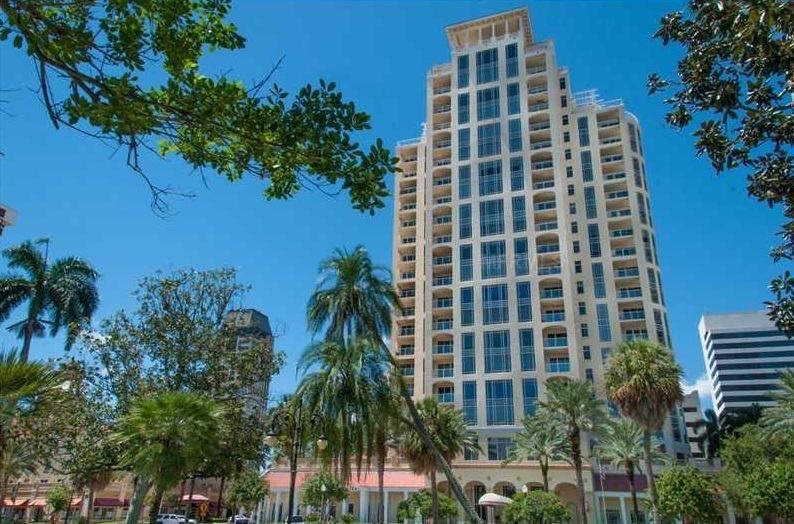 Search Florencia condos for sale & other real estate in Downtown St. Petersburg. Florencia a high-rise building that's the epitome of modern charm and class. If you want to make a home on the waterfront in this sparkling Tampa Bay region city, Florencia may be a strong choice for you. The tower has 49 residential units in all. It has 21 floors as well. Read more about Florencia condos. For information about Florencia properties for sale or to schedule a private condominium showing, contact your Florencia real estate experts today. Preparing to buy or sell a condo in Florencia soon? Call DWELL Real Estate at (727)485-0144. Our community of Florencia real estate agents are here to help guide you through the Florencia housing market near St. Petersburg. Florencia condos are optimal for people who adore the beauty of promenades right in front of the water. The building is also optimal for those who appreciate all of the joys of cool urban life. It's right next to many parks, museums, art galleries, marinas, eateries and supermarkets. It doesn't matter if you're fond of nature, shopping, gourmet dining or pure relaxation. Florencia has everything you could ever want. The tower is near some of the city's most prominent and widely known points of interest as well. Examples of these are the Salvador Dali Museum, the St. Petersburg Yacht Club, the Museum of Fine Arts and the Mahaffey Theater. If you're someone who does a lot of traveling, you'll be delighted to discover that Florencia is a quick drive away from Albert Whitted Airport, too. Life at Florencia is chock-full of luxuries for its residents. Residents of the tower can take full advantage of round-the-clock concierge assistance. They can also take advantage of desirable features including extensive meeting facilities, rapid elevators, a wellness spa, a heated swimming pool, a television center, a library, a gym, an exercise center, saunas and steam rooms. Florencia even has its very own billiards room for residents who just want to take it easy for a while and have a little fun. People who want to throw parties at Florencia can easily do so as well. The complex has a kitchen designated for residents who are planning upcoming gatherings. Covered parking is available to all people who live at Florencia. This is immensely convenient. It isn't always easy to locate parking in a city of St. Petersburg's size. If you live at Florencia, you'll be able to land a pair of covered parking spots. This garage is gated and is therefore secure and reliable. Parking at Florencia is notably quick and stress-free. It's always a piece of cake for residents to get around Florencia. People can get to the spa and the swimming pool by heading to the building's west side. They can head to its soothing and calming gardens, on the other hand, by visiting the south side. It doesn't usually take long at all for people to get acquainted with this well maintained and chic condominium complex. This residential structure has a layout and design that's clear, simple and straightforward. Preparing for the sale or purchase of a condominium in Florencia? Let our local Downtown St. Pete real estate agents work with you to navigate the purchase of or expertly negotiate the sale of your Florencia condo. Our expert knowledge will give you access to up-to-date information about the unique market dynamics of the Florencia real estate market. We're ready to help you today! Contact DWELL Real Estate to learn more about buyer and seller representation for Florencia condos. Visit our comparative market analysis page to receive a free condominium value estimate in Florencia within minutes.